In my previous post under this title (Part 1), I commented on the need for us Christians to learn to pray more and more as Christ prayed. Not just because we need to imitate Him and carry out His Teachings on prayer, but because as New Creations In Him we are being conformed into His image by the Holy Spirit (cf.,Rom.8:29) for the purpose that He, working through us, His Body, might continue to bring forth the Kingdom in this world – beginning with each of us individually. In general, we Christians, are not growing spiritually as we ought, is not so much because of the effects of the world system in which we are embedded, but rather because of our lack of awareness of who we are in Christ, namely, that in coming to a new birth in Christ, we are a new creation in Him and that our that the focus of our lives needs to center on the understanding in faith, that “… it is no longer [we] who live but Christ who lives in [us] and through [us]’’ (cf. Gal 2:20). 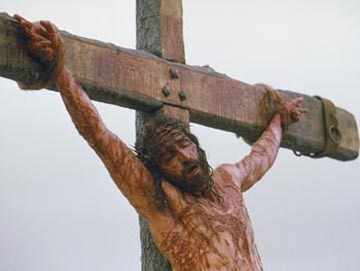 And, that Jesus, our lord and Savior by sacrificing Himself on the Cross for us, not only redeemed and saved us but, in effect, exchanged His Life for ours by taking on Himself all of our sinful nature and extending to us His own righteousness so that we might be reborn as new creatures (2Cor.5:17) and spiritually engendered children of God in Him. If the apostle Paul were with us today, I’m sure that he would repeat his plea to the Galatian church, “My little children, for whom I am again in the pain of childbirth until Christ is formed in you..” (Gal 4:19). And as he also reminded the church in Corinth, “Do you Not Know that Christ is in you?” (cf.,2Cor.13:5) or “Do you not know that you are God’s temple and that God’s Spirit dwells in you?” (cf.,1Cor.3:16)). Of course, if we consciously came to this realization, I assure you we would be living the holiest lives we could, by God’s grace. It is for this reason that we need to grow in the awareness of His presence in us, especially when we pray, so that our prayers may emanate from His presence within us and call forth, prophetically, through our prayers the power of The Kingdom to heal the sick, comfort the afflicted, and deliver from the power of darkness those who are calling for His help. In effect, we need to learn to pray as He prayed. In so doing we must always remember that when we are praying in this mode, that is, as Jesus’ stand-ins under His Anointing, and not as individuals separate from Him, we must constantly be aware that it is He working through us. Recognizing this, that the gifts we receive to operate under His Anointing are His Gifts, not ours, and do not involve us other than we have yielded ourselves to Him so that He may express Himself through us for the Glory of God, the Father. Praised be His Holy Name! So we see that only through a deep fellowship with the Trinity in prayer are we granted to “see what the Father is doing” and to receive from Jesus the authority to act in His Name in bringing the Father’s work to completion (cf. The Crucified Life). But it is exactly to this deeper union with the Divine to which we are being called through prayer, so that, indeed, we, like Elisha (cf., 2Kings-2:9-14), can receive Jesus’ mantle and operate under His anointing. This is essentially what we are praying for when we pray the “Our Father” and submit ourselves to His Will so that His Kingdom may come, in us and through us in today’s world, here and now. (see part 1 of this series). This brings us to the next two themes regarding prayer that Luke wants to impress on us. These themes not only address the prayer life we need to attain to operate under His anointing but also our responsibility to share the blessings of our holy fellowship with other pilgrims who are seeking the face of the Lord in their lives. Now, that we have dedicated ourselves to the Lord as His disciples and have come to a deeper union wit the Holy Trinity, Luke wishes to gently remind us that we have the responsibility to share our relationship with those other pilgrims who are sincerely seeking the Lord. Jesus, in this teaching, refers to this other pilgrim as “a friend of mine has arrived …” – that is, a seeker that God has brought into your life specifically so that you can witness to him. Your responsibility is to share what the Lord has done for you with him, namely, your relationship with the Father, the Holy Spirit, your source of sustenance, and Jesus, through whom you have the forgiveness of your sins. 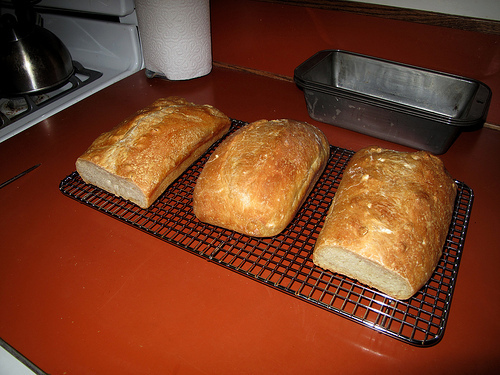 These are the three loaves you are asking to bring to “your friend”. You, of course are powerless to provide these loaves (you have nothing to offer) so an “asking” prayer is the way that you intercede for your pilgrim friend so that through your witness He too may come into the Reign of the Father in his life! In this prayer you must be bold and persistent, not because the Lord would hold back, but because the forces of darkness (ie.,the midnight) will resist you. This second theme is important because without the relationship to the Triune Godhead. we cannot proceed to the next theme: “Asking for the Anointing”. “So I say to you, ask, and it will be given you; seek, and you will find; knock, and the door will be opened for you. For everyone who asks receives, and everyone who seeks finds, and for everyone who knocks, the door will be opened. In attempting to comprehend the teaching here, it must be pointed out, that Luke was writing to Baptized Christians, who have already received the Holy Spirit. So, then, what is the point that Luke is intending to make? The point that Luke is making to baptized Christians, is that in order to be empowered as Jesus was empowered, the Anointing of the Holy Spirit that came on Christ must be invoked by us, through prayer so that we may share in Jesus’ anointing. The exhortation quoted above, then, instructs the Christian on the faith and the steps needed to pray for this anointing of the Holy Spirit over our lives. In this way we permit the empowerment that was on Jesus to fall on us in order to accomplish the Father’s perfect will in our service to others. We similarly, in following Jesus’ formation in the Spirit through our baptism, must also be anointed by the Spirit in order to carry out our own specific calling accompanied by the spiritual gifts we need to carry out that calling. Yes, we received the “inner” anointing (1Jn.2:27) for our own sanctification when we were baptized into Jesus (Rom. 6:3), but like Jesus we also need to be anointed with the power of the Spirit (Acts 1:8) so that we might be channels of God’s grace to others. This is normally accomplished at our Confirmation or through what is sometimes termed, “the Baptism in the Spirit”. That is how the Lord places us in partnership with Himself to work in this world. When we are obedient and empowered, He will place us where He wants us so that He, working through us may minister His Love and Grace to others for the building up of the Church (1Cor. 14:12). One of the problems we all face, is in understanding how the empowerment anointing operates in our renewed lives in Christ. The first mistake we all make is to take the Gifts of the Holy Spirit for granted. That is, we assume that after we have been baptized, Grace being Grace, the Spirit will work in us automatically through our lives as long as we remain in a state of grace. Now, for the sanctifying graces noted in Chapter 11 of Isaiah, that may well be true. But for the actual graces, as manifested in the empowerment gifts listed in 1Cor. Chapter 12, this not true. The main reason being that the Holy Trinity does not want to empower zombies or robots to do the Father’s will. He wants to empower His Children so that He may work through their obedient Love. In order that LOVE might be supreme in forming a partnership with us, He wants us to freely yield to Him to work in us and through us so that, with our willingness and obedience in place, He might be free to work in us an through us to manifest His Kingdom through our obedience. 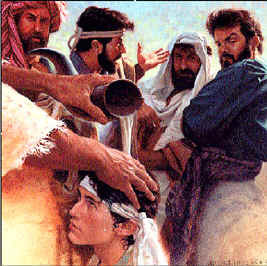 Normally this would be accomplished through the Sacrament of Confirmation, but since we are not usually prepared to receive the Empowerment Gifts at this instance, the Lord, in His mercy permits us to release the Anointing that was placed on Jesus at a prayer service we term, “the Baptism or release of the Spirit”. At this service you will be asked to yield yourself to the Holy Spirit and to pray for an infilling and release of the Spirit in your life. This submission, if done in faith, will give the Holy Spirit the Freedom to work in you and through you so that the gifts and anointing that was on Jesus will be on you. This will permit Jesus to work in you and through you to accomplish the Father’s will. Praised be His Holy Name! Once thus anointed and in place to serve Him, we might ask, “now, how do I activate this anointing?”. Luke provides us the answer in this third theme – namely, we ASK., we SEEK, and we KNOCK. Thus, by implication, if we desire to do the Father’s will and be partners with the Divine in bringing forth His Kingdom, we are urged to ask for the anointing of the Holy Spirit. Only in this way can we bring to fulfillment the desires the Father has placed into our hearts, whether they be ‘moving mountains, healing the sick or casting out demons (Mark 16:17). Also, we note, that in the Greek, the tense of the verbs ask, seek, find, and knock infer a continuing action such as, “asking and keep on asking”. The reason for this is that the Lord wants us to ask, seek, and knock for His help in every situation we face in life. By doing so we invite Him and His Holy Spirit to be the dynamic source for our actions thus activating the partnership He wants of us, and yielding all the results for His Glory – not ours! In asking, we not only admit our own inability and humility but also affirm our total dependence on HIM and Him alone- so that it is clear that all the Glory attendant to the works of power is His! In Knocking, we take action, in faith, to test and discern “what the Father is doing” in our circumstances – and, then, again in faith, entering in through that door that He opens for us to bring to completion the Father’s will. Praised be His Holy Name!! With all I have shared with you my brothers and sisters, I pray the Lord will inspire your discernment in the reading of the Word and the Meditation of your hearts so that these themes will come alive in your spirits and so that you may find and enter through the doors He is opening for you to take the action He desires of you for the Glory of His Kingdom. Praised be His Holy Name, forever and ever. Amen. One of the greatest responsibilities we have as members of Christ’s earthly body, His Church, is prayer. But REAL prayer, not just the rote repetition of scripted religious piety, prayer that is a heart to heart dialogue with the Our God as Trinity: Father, Son and Holy Ghost. Prayer that flows out of our meditation on His Word. Prayer that is constantly seeking His face and His Will to perform it. Prayer that comes from a yielded spirit that is not seeking anything for “self” but only the Glory of the Father and His Kingdom! Prayer that comes forth out of the spiritual awareness that we are “in Christ and that Christ is in us” – an awareness that compels us to yield ourselves in Love to Christ so that He may live and pray through us to the Father. The reason that this level of prayer is required of us is that it is only through this level of prayer that we can fulfill the destiny that Our Father has for us, the Body of Christ – the destiny of being conformed to the image of the Son (Rom. 8:29). For, “Unto each one of us was the grace given according to the measure of the gift of Christ… till we all attain unto the unity of the faith, and of the knowledge of the Son of God… unto the measure of the stature of the fullness of Christ” (Eph. 4:7, 13). In order to grow into the Christ-likeness the Father intends for us, we must pray as Christ prayed, we must walk as He walked, we must be empowered by the Holy Spirit as He was empowered and we must fulfill the Father’s will as He fulfilled the Father’s will to bring forth the Glory of His Kingdom here on this Earth. In effect we are here to continue Jesus’ ministry in this world! This is beyond anything our hapless humanity can accomplish – only the Holy Spirit working in us and through us can transform us and empower us to bring us to this point. We are new creation in HIM, but the Holy Spirit will not activate our new self without our yielding totally to the will of the Father. Yes, brothers and sisters, we have been bought for a price and our lives are no longer our own, it is our destiny, yea even our mission in life to give ourselves totally to the Spirit of God to conform us to Jesus, so that He, living and working through us, might bring to completion the purpose for which He was sent, namely, to bring the Kingdom of His Father to this world and, thus, restore God’s creation to its original Glory! Yes, he died to save us from the power of evil and to be with Him in Heaven for eternity, but He also gave Himself for His “called out ones” in this world, His Ecclesia”, that so that we could take His mantle and carry on His ministry until He comes to reign. He died for us, taking on our sins so that we could be restored as children of the Father and, that as His Brothers and Sisters, we might become inheritors of the Kingdom with Him who is our King, so we, that as His commissioned envoys, may enforce, through faith, His Word and His Promises to bring forth His Kingdom for the Glory of the Father! We, His Body, then, are called to be His deputies in bringing forth the Kingdom in this world in preparation for His Coming as King! However, without true, intimate, spiritual prayer and communion with the Divine we cannot achieve the end for which we were created. Without prayer we cannot be attached to Him, the Vine, and without being attached we cannot bring forth fruit! That is why I previously mentioned, in another article, that the foundational prayer model for true discipleship is “the Lord’s Prayer” or what it really should be called, “the Disciples Prayer”. This prayer, mentioned by both Matthew and Luke, once spiritually understood, clearly lays out the Father’s plan to have us be His Partners in enforcing His Promises and His will in order to bring forth His Kingdom in this world. Looking more carefully at Chapter 11 of Luke’ Gospel we see that the evangelist was not just recounting a series of unrelated stories about Jesus’ prayer life and His sayings, but rather was taking these sayings and teachings to string together a spiritual lesson, laying out the importance of prayer in bringing forth The Kingdom in our world today! Let us first analyze these initial themes and order of these teachings/sayings so that we may discern what Luke is attempting to tell us through these teachings of Jesus. Chapter 11 of Luke’s gospel begins with the three major themes that indicate the importance we need to place on our personal prayer in order to begin to fulfill the roles the Father has destined for us in fulfilling the portion of Jesus’ ministry that has been designated for us. The scriptures that specify these themes are: Luke 11: 1-4; Luke 11:5-8; and Luke 11:9-13. In order to help your meditation on these teachings I will go through each with my own annotations, which are there to help you, but which I urge you to read, test and reinterpret these scriptures as the Spirit leads you. – Here, in this situation Luke is attempting to convey that the Holy Spirit moved the disciples to desire to pray as Jesus prayed. Do you feel led by the Spirit to have Him bring you to the point where you can pray as Jesus prayed? This desire is the starting point to the Way of Discipleship. If you don’t have it yet, pray for it when you pray the “Disciples Prayer”, not out of routine piety but out of a heartfelt desire and need to follow our Master. (Luke 11:2-4) He said to them, “When you pray, say: Father, hallowed be your name. Your Kingdom come. – Here Jesus tells His disciples that through the relationship they have with Him they are to address their prayer directly to the “Father”. In addressing God as personal “Father” He is going against all the traditions of the Jewish people. In fact this is one of the accusations that was made against Him, that “He claims that God is His ‘Father’ ” (Jn 5:18). Now, Jesus is intimating to His Disciples that if they are to pray as He prays, they are to also address God as their Father not just the Father of the Jewish People, which was acceptable, but as the personal “Father” for each one of them. Note that the term used by Luke is the more personal, “[my]Father”, not “Our Father”, as in Mathew’s version. Now, we have to ask ourselves when we say this prayer do we really understand in our spirits that we are addressing our own spiritual parent, the creator of the Universe, the one who has made us a New Creation in Christ, and not just some pietistic name for Deity? Do we really understand the unimaginable upgrade we have in Jesus to be able to address God as “our Father”, presuming, in faith, the same relationship that Jesus had? And then there is the even more unimaginable offer we are making as His Children, namely. to ask Him to manifest His Kingdom, through us by offering ourselves, through the surrender of our individual will and self to Him? To clarify that this prayer is not to bring you to some “blue sky’ concept of an ethereal paradise, Mathew’s version adds: “…(so that) thy will [may] be done [here and now] on Earth as it is in Heaven”. Now this is what makes this prayer a prayer of dedication for you, as a disciple – a prayer opens you to the reign of God in your Life! A prayer that prepares you to “Pray as Jesus Prayed”! (Luke 11:3) Give us each day our daily bread. – Here Jesus indicates that our prayer of dedication MUST first acknowledge our humanness and complete dependence on the Father for both our spiritual and material sustenance. Without this sustenance, we cannot our of our own humanness, expect to be effective in being obedient to Him and His Word, That is why Jesus, in John’s Gospel says: “Without me you can do nothing” (Jn.:15:5). And that is also why in another place in John, He says; “I am the Bread of Life” and, “…those who eat my flesh and drink my blood abide in me, and I in them.” (Jn 5:35; Jn 6:56). We, in the Catholic tradition of faith, are able to fulfill this spiritual source of sustenance through the reception of the Eucharist, with the proviso, … “if we receive in faith, so that by partaking of His Body and Blood, He is strengthening and renewing His Presence in us” so that His Kingdom may be realized in us in the events and circumstances into which, by the Father’s grace and providence we have been placed. – In Luke’s version, Jesus concludes the model of the prayer of dedication He is teaching His disciples by also indicating that without forgiveness they cannot be the Father’s envoys to bring forth the Kingdom. For His is a kingdom of Love and since He Is Love, His Love must rule your heart. If we do not forgive, we are in sin and we CANNOT do His will when we are in rebellion against His will! But if we sin we have an advocate before the father, so that if we confess our sins we will be forgiven (1Jn.1:8-10). The concluding line indicates our awareness of our human weaknesses and tendency to sin and asks that He keep us from trials that will lead us to sin. Again, in the Catholic tradition, after we confess our sins in the Sacrament of Reconciliation, we ask that He “… keep us from the near occasions of Sin” or situations that are beyond our spiritual maturity and wisdom so that we will not fail to bring forth fruit for His Glory and For His Kingdom. This, then, in commentary, is what the Disciples’ Prayer is about. It is a prayer, that, when said from the heart, with full understanding of the commitment you are making, reiterates your desire to pray as Jesus prayed, and commit yourself to the “Obedience of Love” as Jesus committed Himself. In doing so, your focus in life, from here on, will be to seek the Father’s will in all that you do. In so doing you will comply with other of Jesus’ exhortations, namely, to “seek first the Kingdom of God and His Righteousness…” (Matt. 6:33) and to embody in ourselves Jesus’ own statement of dedication, “… Very truly, I tell you, the Son can do nothing on his own, but only what he sees the Father doing; for whatever the Father does, the Son does likewise” (John 5:19). 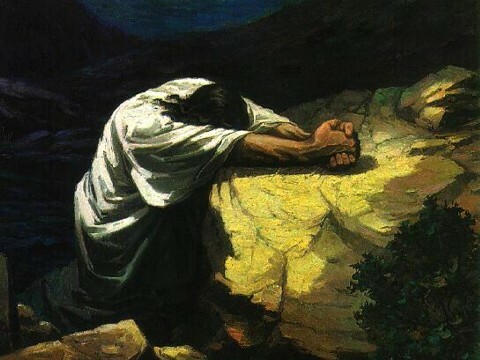 In my next article on this subject (Praying as Jesus Prayed Part 2) I will comment on the remaining two themes on Prayer at the beginning of Luke Chapter 11 (cf., Luke 11:5-8; and Luke 11:9-13). Please pray, read, and meditate on these scriptures so that you may respond to the Spirit’s call on your life to permit the Spirit of Jesus to live and pray through you! For it is to this level of prayer we are all called as we are being conformed more and more into the image of Christ.